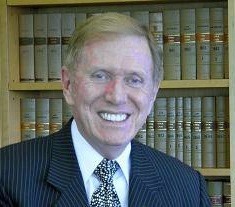 The Hon Michael Kirby AC, CMG was Australia’s longest serving judge when he retired from the High Court of Australia in 2009. He delivered a talk about church-state separation (secularism) at the RMIT law school in 2013. Here he sketches the development of secularism in France, the US, India, Malaysia and Australia. The talk, reproduced here with permission, begins with a nod to the Victorian judge, George Higinbotham (1828-1892). Those not interested in Higinbotham can go directly to the main topic by clicking here. Kirby stresses that secularism is not atheism, but rather a way "not only to stop an excessive interference of religion in the lives of the people but to ensure that people of different faiths (and those of no religious faith) can co-exist peacefully". He then outlines the history of laws separating church and state in Australia and abroad. He argues that a narrow interpretation of Section 116 of the Australian Constitution has permitted too much intrusion of religion into the public sphere. In particular he questions the continuation of federal funding for faith-based schools and the expansion of chaplaincy in public schools. Quoting former Attorney-General Lionel Murphy, he says: "We have a right to freedom of religion but also to freedom from religion, and this is not yet the case in Australia." In 2013, after retiring as a justice of the Supreme Court, Kirby was appointed to United Nations Human Rights Council (UNHRC) to lead a commission of inquiry into human rights abuses in North Korea. Denied entry to North Korea to carry out its work, Kirby's commission was forced to rely on those who had witnessed the “unspeakable atrocities”. His report, issued the following year, urged that those responsible be brought to account. George Higinbotham was one of the most interesting and influential public figures of colonial Australia. His aspirations and concerns are still relevant, more than a century after his death. Like Alfred Deakin and John Curtin he was a journalist turned politician. Later he became a judge. But today it is for his ideas on education and secularism that he is best remembered. It is those ideas that I will describe and develop for their contemporary relevance. 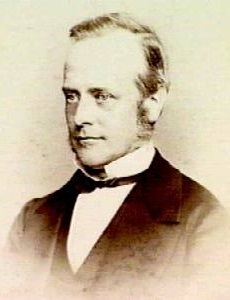 George Higinbotham was born in Dublin in 1826. He was educated at Trinity College. Although his ancestry derived, in part, from the Netherlands, he was a member of the Anglo-Irish ascendancy and an adherent of the Church of Ireland. His father was a merchant. Although called to the Bar by Lincoln’s Inn in London, he migrated to Australia in 1853, settling in Melbourne where in 1854 he was admitted to the Victorian Bar. Years later, in 1887, he was to chair the first meeting of a committee established to promote the establishment of a working men’s college in Melbourne. This college later evolved, through a number of manifestations, to become the Royal Melbourne Institute of Technology University which has established a lecture in his name. Higinbotham was a man of quiet demeanour but of strong passions which he did not hesitate to express. Probably his strongest passion was over the ‘injustice to the equal rights of the children of all classes’. Government, he insisted, must take full responsibility for education and withdraw aid from denominational Christian schools which, until then, had assumed the major responsibility for education of children in the Australian colonies. In 1862, he introduced legislation to create a Schools Board for Victoria. However, Higginbotham’s proposal satisfied no one and the struggle to have it enacted, over vigorous opposition by the Christian churches, convinced him both that education should be made compulsory, supported by public monies and also that the law should prohibit all forms of religious teaching in a new system of public schools. This stance provoked the opposition of the Roman Catholic Church in Victoria which saw a proposed compromise, offered by Higinbotham, that would have permitted an opening for instruction in a ‘common Christianity’, as equivalent to a form of state-sponsored Protestantism. The Bill proposed by Higinbotham was ultimately disowned by the Government. It failed to pass for want of political support. Subsequently, in 1872 a new Attorney-General, J. W. Stephen, introduced a different Education Bill. It was enacted to provide for public schools in Victoria that would be free, compulsory and generally secular. However, even to the present time, the goal of fully secular education has been qualified by legal restrictions and exceptions. So it was from the outset in Victoria, as in other Australian colonies. Higinbotham was a man often embroiled in passionate disputes. As Attorney-General, he had a dispute with Chief Justice Stawell about the power of the Executive Council of the Colony to suspend judges  and with the Imperial authorities in London over their right to interfere in local affairs. On occasion, he saw his role in the judiciary as an extension of his function to support enlightened policies such as he had advanced as a politician. He involved himself in a wide range of causes extending from the rights and obligations of aliens; the annexation of New Guinea; the rights of women; and the protection of workers’ rights. Atypically, after his appointment as a judge, Higinbotham took part in public meetings. He did so, for example, at Trades Hall in Melbourne where he was guest speaker at the opening of its council chamber. He was an unusual man, described by colleagues as being “shy yet firm, gentle yet ferocious, personally courteous yet impersonally acrimonious and indeed a puzzling mixture”. He was opposed to privilege; in favour of children’s education; and for him, unusually for the time, this did not mean “mere stuffing of the intellect of the child with materials of knowledge but the training of [its] character.”  Although he remained an adherent of the Church of England in Victoria, publicly he was a strong believer in, and an advocate for, secularism in Australian public life. If it were possible for secularism to have a patron saint in Australia, George Higinbotham would have the first claim on the title. The meaning of the word “secular” is contested. Its Latin roots suggest that it originally referred to the ‘world’ as opposed, say, to the ‘Church’ and ethereal things. John Stuart Mill thought that “there is not a better defined word in the English language. Secular is whatever has reference to this life”. A more politically-focused definition had been advocated by John Locke, who used the term to distinguish the ‘business of civil government from that of religion…because the Church itself is a thing absolutely separate and distinct from the Commonwealth’. So accepted, secularism views religion as existing in the private space, separating Churches from the State. Proponents of the importance of secularism for the political, constitutional and social developments of modern societies, including Australia, often take their social and political traditions and laws from the United Kingdom. Secularism in English law and society can be traced to the religious turmoil of 16th Century England. When King Henry VIII became the Supreme Governor of the Church of England, as a result of severing the ties of obedience of the Church in England to the Church of Rome, there began a long and bloody conflict between the adherents to the country’s Roman Catholic and Protestant traditions of Christianity. Henry VIII was succeeded by his son Edward VI, whose strict adherence to Protestant beliefs and practices led to the persecution of Roman Catholics. When Edward VI, always a sick boy, died young, he was succeeded by his sister Mary I, a staunch adherent to the Church of Rome who was, loyal to the Pope. Under Mary’s rule, many Protestants were burned at the stake for their beliefs, such that Mary was titled “Bloody” Mary, and widely unpopular. Mary died childless and was succeeded by her sister, Elizabeth I. Queen Elizabeth I took the first steps towards temporising religious conflict in her realm. She recognised that the intolerance and continued conflict over religion severely weakened England, and that it was necessary, in order for the country to progress politically and economically, for two hitherto conflicted communities to learn to live together. Of course, this was a difficult objective to attain because of the intensity of the religious and nationalistic differences and because they were less easily susceptible to resolution by reason of the fact that they involved spiritual and divine notions about the requirements for a valid life and accepted worship of God – a precondition for eternal life for human beings. Intolerance towards Roman Catholics continued in England through the later reigns of the Stuart kings and particularly during Cromwell’s Commonwealth. The attempt of King James II to restore some privileges to the Roman Catholic Church and its adherents led to his expulsion from the Kingdom in 1688 for defying the will of Parliament. His successors, William III and Mary II, confirmed the Protestant ascendancy in England and Scotland as the dominant faith. It was in that space, and under the Hanoverian Kings who later succeeded to the throne, that secularism grew and flourished in Great Britain. It also spread to the early colonies and settlements of Britain beyond the seas, notably in North America, Australia and New Zealand. By the early 19th century, both Roman Catholic and Protestant subjects of the British Crown were allowed to practise their beliefs in peace; to enjoy equal rights as citizens; and to hold office under the Crown and participate in civic affairs (including elections) without disenfranchisement on account of their religious adherence. The Church of England, although retaining in England its privileged legal status in Parliament, as the established or official State religion, has now become one of many religious beliefs embraced by the people. The centuries of bloodshed and hatred on religious grounds taught a lesson to the British commons that the most successful way by which people of different religious beliefs (and increasingly people of no religion) could live in harmony was to require, by law, that the religion should substantially be confined to the private space. Many religious leaders have resisted this secular ascendancy. In the United Kingdom, the Church of England has maintained the last historical vestiges of its role of the established state church, with adherence to its beliefs as a continuing requirement to be observed by the monarch and with a number of its Bishops holding seats in the Second Chamber of the British Parliament, the House of Lords. In Australia, by section 116 of the federal constitution of 1901 – conforming to long practice from colonial times, there is no established Church and no religious test may be imposed for holding any office in the Commonwealth. It is useful to understand the development of secularism in countries beyond England and the settler colonies that have generally followed its secular legal tradition. France shall be an indivisible, secular, democratic and social Republic. It shall ensure the equality of all citizens before the law, without distinction of origin, race or religion. It shall respect all beliefs. In 1989, the Counseil d’Etat of France imposed certain limits on freedom of expression in public schools. It prohibited all religious symbols which inherently, or in the circumstances in they are worn, might constitute a form of pressure, provocation, proselytizing or propaganda. Fifteen years later, in 2004, this law was widened to prohibit ‘any signs or clothing which conspicuously manifests students’ religious affiliation’. In 2010, the legislators of France adopted another law banning the wearing of face-covering headgear, including masks, helmets, balaclavas, niqabs and other veils, covering the face in public places. Although this law was ostensibly adopted for the purposes of minimising security risks and social hindrance, in effect, it prevents mostly Muslim women from adhering to the dress code customary within sections of their religion. Critics have argued that France’s hard secularism has been achieved at the expense of freedom of conscience, expression and association, which limits the individual’s freedom to pursue his or her religious beliefs. Rather than equally respecting all faiths, one of the core principles of the law of 1905,  laïcité has had the effect in France today essentially of obliging all citizens to subscribe to the same values in the public sphere, even where this confines the individual’s freedom of conscience. By way of contrast, the 1905 law had imposed neutrality towards religious beliefs on the part of the state and its public servants, not on individuals in the public sphere. Recent changes in the law banning all types of head coverings suggest a still further hardening of the French insistence on the secularism of all public places. From a political perspective, the United States model of secularism has been successful in preventing the imposition of the views of the majority Christian beliefs upon what is probably one of the most contentious areas of the Church-State debate, the education system. However, any interference by the State at all, even ostensibly beneficial interference, has been held to be unconstitutional. According to a recent Pew Forum on Religion and Public Life, the percentage of Americans who think churches “should keep out of politics” has actually risen by 8 percentage points in the period 2004 to 2010, indicating that United States citizens, not just politicians and those in government, increasingly believe in a strict separation of church and state. Each power must stay within its own proper separate space. Of course, questions can arise as to the boundary and where it lies. However, its existence is not doubted. And it has tended to be quite strictly policed, without back sliding by reference to the supposed limitations of the constitutional text or a narrow reading of the constitutional language. The United States Supreme Court has much experience in interpreting constitutional guarantees reserving rights to the people. The United States approach does not guarantee that pressures will never be exerted from powerful religious groups for the enactment of laws that, they feel, might protect or advance their beliefs, either directly or indirectly. The recent clash between the Obama administration in the United States and the Roman Catholic Church over the federal government’s healthcare plan provides a good example of what can still happen. The new federal health system, requiring federally funded facilities to cover the provision of free contraception advice, and employers’ obligations to cover their employees’ health plans, attracted vehement objection from the Church. It claimed that the application of this law to employee healthcare plans (even through a third party administrator) would be akin to asking those employees to condone abortion, forbidden by Church teaching. The Administration would not budge on the point. The federal law was universal and neutral in its actual language. Its constitutional validity was upheld by the Supreme Court of the United States as constitutionally valid. The Church and its supporters spent very large resources in 2012 to defeat President Obama. But without success. A different constitutional solution is provided in India. There it has been held that the state may act as a beneficial regulator, accommodating and facilitating religion in the public sphere so long as it ensures that no one religion dominates. India is a pluralistic society, with millions of Hindus, Muslims, Christians, Sikhs, Jains, Buddhists, Zoroastrians, Parsis, Baha’i and so on. Like other nations deriving their general legal system from Britain, India, at independence, adopted parts of the Universal Declaration of Human Rights,  in its republican constitution. That document includes provisions guaranteeing the individual’s right to freedom of religion. The framers of the Indian Constitution included representatives of all of the subcontinent’s major religions. They envisaged India as a secular state but with the goal of achieving effective public and legal equality amongst all religious and non-religious citizens. This aspiration was in contrast to the constitutional position in Pakistan, a state which guaranteed a special place for Islam. ‘If the guarantee of religious freedom is to have any real significance, it must be left to the courts of justice to determine its meaning and to give effect to it by declaring the invalidity of laws which infringes it and by declining to enforce them’. This ruling suggests that India may have come to appreciate the special dangers of allowing a mixture of populist policies and religious divisiveness. It may mark a retreat from the previous stance of benign support for religion, so long as it was equal as between beliefs, towards a principle of separation, closer to that upheld in the United States of America. Because of the very large Islamic minority in India this may be a prudent and desirable approach to secularism in the delicate circumstances of Indian constitutionalism. Notwithstanding these provisions, in 1988 an important amendment was made to the Malaysian Constitution. It ousted the jurisdiction of the civil courts where matters of religion and family were concerned. Such matters were henceforth to be decided exclusively by the Islamic courts. A majority of the Federal Court of Malaysia found that the NRD’s actions were lawful. More importantly, it found that the question as to whether Lina Joy was a Muslim, or not, was a decision exclusively for the Islamic courts. Justice Richard Malanjum FCJ dissented. He pointed out that the implementation of the NRD’s policy impinged on the Lina Joy’s fundamental constitutional right to freedom of religion which ought to have been given priority in resolving the case. The decision has been criticised in Malaysia by adherents of minority religious beliefs and by secularists. The section has received a much narrower interpretation by the High Court of Australia than its counterpart has received in the United States. Whereas the Supreme Court of the United States has required a strict separation between religion and the state, in Australia the High Court has adopted a highly literal reading of ‘establishing any religion’. It has held that this phrase means no more than that the Federal Parliament may not pass laws that establish ‘one [dominant] church or religion’. This is a course that was never seriously contemplated in Australia at the time of federation in 1901. Nor indeed, had it really been a live question in Australia, at least at any time after the 1840s. Most of the Justices of the High Court of Australia have been educated in private and religious schools. During most of my own service on the Court, I was the only Justice educated entirely in public schools. This is itself a somewhat surprising fact, given that 67% of Australians are so educated. But it has long been the case. It is hard to believe that this difference, in background and experience, does not provide at least a subconscious influence on the values of the Justices. Values matter to judicial outcomes. In the face of the strong authority of United States doctrine on similar constitutional language and bearing in mind the historical purposes of the Australian constitutional provision, it is difficult otherwise to understand the consistent hostility of most of the High Court’s jurisprudence on the meaning and application of section 116. In 1981 in Attorney-General (Vic); Ex Rel Black v The Commonwealth, (The Defence of Government Schools Case – DOGS case) the majority of the High Court of Australia held that federal laws in Australia, which permitted federal funds to be paid to denominational and religious schools, were constitutionally valid and did not offend the prohibitions expressed in section 116. So far, his words have not been heeded. In 2008, a special event of the Roman Catholic Church was held in Sydney. This was a World Youth Day, attended by Pope Benedict XVI, supreme head of the Church. Both the New South Wales Government (Keneally, ALP) and the Federal Government (Rudd, ALP) announced the provision of multimillion dollar support from taxpayers’ funds for the conduct of the event. This was despite the fact that its objective was specifically to advance the religious beliefs of the Church and despite the criticism of some observers about some of the messages attributed to sponsors of the event relevant to the status of women, of homosexuals and the use of condoms to prevent the spread of HIV. A summons was issued out of the High Court of Australia challenging the constitutional validity of the financial subventions made or proposed on behalf of the Commonwealth. The arguments were based, in part, upon grounds relating to the appropriation of federal funds for this purpose and, in part, on an attempt to reopen the correctness of the decision of Ex Rel Black (the DOGS Case). The summons was dismissed by Justice Crennan. An application for leave to appeal against her order was eventually heard by a bench of the Court comprising three non-Catholics, Justices Gummow, Heydon and myself. By majority, leave to appeal was refused and the proceedings were terminated. I would have allowed the proceedings to continue. I regarded them as constitutionally arguable. Because the decision in the World Youth Day Case has never been reported, I annex it, as Appendix A to this article, so that it may be better known. Thirty years after the DOGS Case, the Commonwealth of Australia continues, directly and indirectly, to fund religious schools, and now religious universities, as well as religious instruction and participation in public schools. The chaplaincy program is not a statutory authority. By focusing its attention on the express employment contracts of the chaplains – they being employed by Scripture Union Queensland (a separate corporation) and not employed by the Commonwealth entity – the High Court of Australia rejected Mr Williams’ basic submission. This was that the “Commonwealth [being] a source of funds to Scripture Union Queensland is sufficient to render a chaplain engaged by them the holder of an office “under the Commonwealth”. Justices Gummow and Bell considered that the term “office” should not be given a restricted meaning when used in Section 116 of the Constitution. However, the judges still restricted the operation of the meaning by interpreting it, when read with the phrase “under the Commonwealth”, to mean, in effect, that the office held must be held directly from the Commonwealth. Of course, this analysis makes it extremely simple to avoid the constitutional prohibition by merely interposing indirect contractual arrangements with other federally funded bodies. The broad, protective potential of the constitutional word “under” was ignored. Once again, a great constitutional guarantee was gutted by the interpretation of the text giving it the high literalism of verbal analysis, disjoined from its purpose, history and function. The narrow reading of section 116 adopted by the High Court of Australia in Williams left it open to the Federal Parliament to enact laws under which valid financial agreements could be made. This is exactly what the Australian Government, with support of the Opposition, promptly did. On 26 June 2012, the Financial Management and Accountability Act 1997 (Cth) was amended to provide legislative authorisation for the existing governmental programs, including the NSCP. The warning given by of Justice Murphy in the DOGS Case, that a narrow construction of s116 would result in indirect preferential treatment towards particular religious institutions, was once again ignored. The principle of constitutional secularism in Australia was once again struck a blow by a decision of the High Court of Australia. Following the Williams Case, the federal Minister for School Education, the Hon. Peter Garrett MP, announced that 1000 new schools had been “successful” in receiving federal funding for their chaplaincy programs under the NSCP. This has led directly to the expansion of the intrusion of federally funded religious chaplains into the public space of Australia’s public schools. With the aid of indirect contracts, ultimately traceable to arrangements with the Commonwealth, very substantial funds have been provided to religious bodies and personnel, effectively to undermine the State legislative enactments and policies of secularism in Australia’s public schools. This is so despite the fact that those policies have substantially prevailed in the Australian colonies and States since the 1880s. The chaplains, so called, are not restricted (as under the long-standing State legislation) to the performances of functions in special religious classes for no more than one hour a week. They have become something of a fixture in Australia’s public schools. Unlike the ministers of religion, whose role was contemplated by the several State statutory provisions for special religious education, the chaplains are not required by State or federal legislation to be ordained or even necessarily theologically trained as ministers of religion or priests. Often they are amateurs without any significant training in theology, religious studies or psychology. At a time of continuing unmet funding needs of public schools in Australia, following a long period of preference by federal legislation for religious and private schools, a very large subvention of taxpayers’ funds has been made available, directly and indirectly, to the advantage of religious institutions and the advancement of religious beliefs. Instead of providing for funding of professional school counsellors, with proper training and accreditation, operating on recognised scientific and professional principles, funds have been afforded by the Federal Parliament to assign such advisory duties to people who necessarily have a mission to “gather souls” for their religious convictions. Prudence might sometimes cause them to moderate the discharge of that role. However, essentially and necessarily, that is their objective. It is the objective of bodies such as Scripture Union Queensland and its equivalents in other Australian States. These developments constitute, for many Australians, a serious departure from one of the core principles of public education that has, until the last decade, been a feature of the Australian continent and nation. Public schools and their principals are tempted to accept the federal funding as an alternative to proper State or federal funding of school counsellors. Provision of school counselling has essentially been outsourced to private religious organisations. This is a specially offensive development when regard is had to the websites of a number of school chaplaincy organisations indicating primitive and doctrinal attitudes towards religious beliefs and specifically, towards homosexuality and women’s equality. The notion of such school chaplains providing counselling in a secular space to gay students in Australia is deeply offensive to many citizens. In particular, it is offensive to the basic principles of public education that had survived in Australia for 120 years. Of course, individual chaplains would sometimes be enlightened and empathetic. However, others would expound hostile religious viewpoints that have no place in an Australian public school as previously imagined. One day, the narrow interpretation of s116 of the Australian Constitution will be reconsidered by a bench of the High Court of Australia, prepared to interpret the section as a fundamental constitutional guarantee with respect to governmental connection with religion. Such an interpretation would be resistant to narrow constructions of the section that essentially defeat its constitutional purpose and undermine its antecedents. It would be alert to the interpretations of similar constitutional language, adopted by the Supreme Court of the United States. It would be informed by the powerful dissenting opinion of Justice Murphy in the DOGS Case of 1981. However, the likelihood is that no such reconsideration will happen until more Justices of the High Court are appointed from backgrounds that include education in public schools, imbued with the values intended in the principle of our constitutional provision for secularism that arose at approximately the same historical time as the creation of the continent-wide systems of public education in Australia. Religious indoctrination has now intruded into public education with the aid of federal funding. Essentially, it has done so because political polling has suggested to successive governments that the funding of religion in public and private schools is sometimes popular in marginal electorates of “aspirational” voters, whose votes are seen as essential to in elections. In one sense, this represents electoral democracy at work. But where electoral democracy undermines a basic constitutional guarantee, it is the duty of the courts to be specially vigilant. It is the function of the High Court of Australia to uphold, and not to neuter, the constitutional guarantee. Yet this is effectively what has happened. The foregoing developments in contemporary Australia would doubtless be profoundly disappointing to George Higinbotham, were he alive today. Just as churches and other religious organisations fought tenaciously to oppose the loss of their early colonial hegemony in education, by the creation of public schools committed to the principle of secularism, so today some churches continue to resist even modest attempts to win back ground lost to successive recent federal and State laws and policies. In 2010, over the heated opposition of the Roman Catholic and Anglican archbishops of Sydney, the New South Wales Parliament enacted a provision permitting the conduct in public schools of courses in secular ethics, as an alternative to special religious classes. Despite the strong support for such courses expressed by students, parents and academics  and although increasing numbers of students were absenting themselves from special religious education classes, the courses were resisted by some religious interests. Yet they were introduced. The consequence of the present impasse, reached because of political deals and lobbying by organised religion, is that special religious classes continue to decline because of the large number of students, particularly in senior years, who opt out. Increasingly, such classes are not provided in metropolitan secondary public schools for want of numbers. Substantial numbers of such schools now roster the period for such classes at the end of the school day so that students, who have opted out, can simply go home instead of sitting in ‘non-scripture’ classes with nothing substantive to do. The resistance of religious institutions to properly funded curriculum courses on secular ethics is clearly based on a view of their own self interest. This has been allowed to prevail over the beneficial instruction of Australian school students in the many ethical quandaries which they will face later in life, as human beings, citizens and electors. From the beginning, many religions have sought to assert their control over the moral instruction of students in public schools, and to prevent well-trained professional teachers from doing so, although such teachers imbue their students with values every day. A number of the religious organisations and people in Australia and elsewhere continue to express hostility towards the rights of women, unmarried couples, homosexuals and others and to insist on their right to discriminate against, and not to associate with, such persons. Given, now, the substantial governmental subventions that are paid to educational, healthcare and aged care facilities of religious organisations, a proper application of universal human rights principles would insist that those who take money from the state must conform to the basis norms of the law against discrimination, hostility and prejudice. As the Australian population continues to change and the nation receives increasing numbers of migrants who do not share the previously dominant views and moral opinions of the Christian religion, it may be more important than ever to put in place, and to give effect to, basic laws that safeguard, explain and strengthen secularism. In the public space in Australia, secularism increasingly needs the support of anti-discrimination laws that will ensure that people treat one another equally and do not discriminate against minorities by reason of their race, gender, sexual orientation, sexual identity, marital status or on other grounds. Such anti-discrimination laws should also protect the basic rights of religious people and their friends to practise their religions in their churches, synagogues, temples and mosques. But once they enter the public space (and particularly if they receive public funding for their activities) they should expect to conform to the principles of non-discrimination that apply there. A natural, and constitutional, reading of section 116 of the Australian Constitution should be adopted, informed by the jurisprudence of two centuries that has gathered around the meaning given to the source of that section in the First Amendment to the United States Constitution. No federal statute would then be valid which directly or indirectly gave preferential treatment to one religion or religious denomination over others. Or which used taxpayer funds, directly or indirectly, to support the religious beliefs or activities of any institution or person. This was the approach to secularism that George Higinbothom believed in, argued for and sought to uphold in colonial Victoria. His approach was right in his day. It is still right. He was not anti-religious. On the contrary, he quietly practised his beliefs as an Australian member of the Church of England. But he had such respect for his fellow human beings, and such knowledge of their history and of their passions over religious beliefs and differences, to appreciate that secularism was essential to safeguard equally people of religion and people of no religion. Australians were the beneficiaries of this conviction. The founding principles of Australia’s nationwide system of public schools were informed by this conviction. We should adhere to it today and restore it for the sake of all people of the Commonwealth. * Justice of the High Court of Australia (1996-2009); Australian Human Rights Medal (1991); President of the International Commission of Jurists (1995-8); Laureate UNESCO Prize for Human Rights Education (1998); Laureate, Gruber Justice Prize (2010). The author acknowledges the substantial help of Rosa Chen (UTS, Sydney) in the preparation of this lecture. 1. G.M. Dow,“Higinbotham, George (1826 – 1892)”, Australian Dictionary of Biography (ADB), Volume 4, MUP, Melbourne 1972, pp 391-397. 4. J.M Bennett, George Higinbotham (Lives of the Australian Chief Justices), The Federation Press, Sydney, 2007, 236. 5. ABD above n1, at 393. 6. ABD, above n1, at 397. 7. J.M. Bennett, above n.4, 238. 8. Catherine Byrne “Free, Compulsory and [not] Secular: The Failed Idea in Australian Education” (2012) 37(1). Journal of Religious History 2. 10. Jacques Berlinerblau, Salon – 10 Sept 2012 – Excerpted from “How to Be Secular” by Jacques Berlinerblau. 13. M.D. Kirby, “Secularism and Public Education: A space for all” (Speech delivered at the Bob Meyenn Annual Education Lecture, Charles Sturt University, 28 April 2011) 29. 15. A.N. Wilson, The Elizabethans (Arrowbooks 2012) 74. 17. M.D Kirby, above n.13, 30. 18. Murphy, Richard “Church, state and the school” (2009) Dissent09, 86. 20. Weil, Patrick “Why the French Laicite is liberal” (2009) 30(6) Cardozo Law Review 2701. 27. Murphy, Richard, “Church, state and the school” (2009) Dissent 09, 87. 28. Criticised by John R Bowen, in Weil above n.20, 2701-2702. 29. Weil, above n 20. 2073. 30. Note the study referred to was conducted before the 2010 banning of headscarves; ibid 2703. 31. Jon Meacham,‘Tear down that wall’ (12 March 2012) Time Magazine. 32. First Amendment to the United States Constitution. 33. Murphy, above n 18, 87 on the U.S. Supreme Court’s tests. 36. Meacham, above n 31, Time Magazine. 37. Byrne, above n 8. 38. Patient Protection and Affordable Health Care Act 2010 (US) and Health Care and Reconciliation Act 2010 (US); 42 U.S.C. 18000 (2010) upheld National Federation of Independent Businesses v Sebelius 648 F. 3d 1235 (2012). 39. Hon. Ruma Pal (former judge of the Supreme Court of India), ‘G.L. Sanghi memorial lecture: secularism as an answer to religious pluralism’ (Speech delivered at the 24th LAWASIA Conference in Seoul, Korea, 9-12 October 2011) LAWASIA Update, 17. 40. Universal Declaration of Human Rights (1948) Article 18. 41. Basu’s Commentaries on the Constitution of India, 6th Edn, Vol 1. 5. see LAWASIA 18 Update. 42. Hon. Ruma Pal (above n38) LAWASIA. 44. Hon. Ruma Pal above n.38. 47. Adelaide Company of Jehovah’s Witnesses v The Commonwealth (1943) 67 CLR 116 Ibid, 152, citing Choon (1999) p.343; Karean (2006) p.63. 48. Hon. Ruma Pal, above n.34. 49. Hon. Ruma Pal, above n. 34, 20. 51. M.D. Kirby, “Fundamental human rights and religious apostasy: They Malaysian case of Lina Joy” (2008) 17(1) Griffith Law Review 153. 53. Ibid, 152, citing Choon (1999) p.343; Karean (2006) p.63. 54. Kirby, Michael, “Fundamental human rights and religious apostasy: The Malaysian case of Lina Joy” (2008) 17(1) Griffith Law Review 159; see section 185 of the Administration of the Religion of Islam and the Malay Custom Enactment of 1982 (Amendment 1989). 55. M.D. Kirby, above n.13, 31. 56. Malaysian Constitution Article 121(1A). 57. Lina Joy v Majlis Agama Islam Wilayah Persekutuan & Anor  3 CLJ 557. 58. Above M.D. Kirby, n.54, 156. 59. Lina Joy v Majlis Agama Islam Wilayah Persekutuan & Anor  3 CLJ 557 . 60. See J. Disney, J. Baston, P. Redmond and S. Ross, Lawyers, Law Book Co, Sydney, 1977, 183. 61. Kirby, M.D., above n.13, 31. 62. Australian Constitution 1900 (Cth). 63. Attorney-General (Vic); Ex Rel Black v Commonwealth (1981) 146 CLR 559 at 582 (Barwick CJ) and 597 (Gibbs J). 64. Attorney-General (Vic); Ex Rel Black v Commonwealth (1981) 146 CLR 559 at 582 (Barwick CJ) and 597 (Gibbs J). 65. Cf. J Disney et al Lawyers, Law Book Co, Sydney, 1977, 183. 66. (1981) 146 CLR 559. 67. Attorney-General (Vic); Ex Rel Black v Commonwealth (1981) 146 CLR 559 at 623 (Murphy J). This AUSCAS factsheet on church and state in Australia puts it all in a nutshell — from 1836, when an exasperated Australian Governor Bourke wished the churches would ‘roll off state support like saturated leeches’ to 2008 when Bishop Tom Frame said they must be weaned off state support and not rely on the secular state to discharge their ‘heavenly charter’.